The former top prospect of the New York Mets, Zack Wheeler, is back in the big leagues. He was the only piece missing out of the Mets dream rotation of their coveted pitching prospects. The San Francisco Giants drafted Wheeler in the 1st round of the 2009 MLB Draft. The Giants traded Wheeler to the Mets for Carlos Beltran after spending a year and a half in the Giants minor league system. After another strong year and a half he earned a call-up to the big leagues. He looked like the real deal in his rookie season going 7-5 with a 3.42 ERA in 100 innings pitched. 2014 was Wheeler’s first full year in the big leagues and he settled in during his sophomore season. He made 32 starts, pitched 185.1 innings and struck out 187 hitters (10th in the NL). Unfortunately, during Spring Training in 2015 Wheeler found out he needed to undergo Tommy John Surgery. Wheeler missed the entire 2015 season and effectively lost the rotation spot he once had locked up. The Mets almost dealt him to the Milwaukee Brewers for Carlos Gomez at the 2015 trade deadline. Luckily for the Mets, the deal never went through. Wheeler missed all of the 2016 season as well because of the surgery and other injuries. He was not able to get fully healthy and the Mets decided to shut him down for the entire year and continue to rehab in 2017. In 2017, he finally returned to action but was plagued by injuries and the inability to go deep into games. After starting the year strong, he faltered to add to what was a very disappointing 2017 season. He only pitched 86.1 innings and put up a career high 5.21 ERA. Wheeler also walked 40 batters in those 86.1 innings. He had high hopes going into this years Spring Training but was inconsistent throughout. Even with Jason Vargas getting injured many assumed he would take the place of Vargas to create the Mets dream rotation but Seth Lugo out pitched him and earned the spot. Luckily, he has returned to the big leagues and delivered a great start in his first outing back. 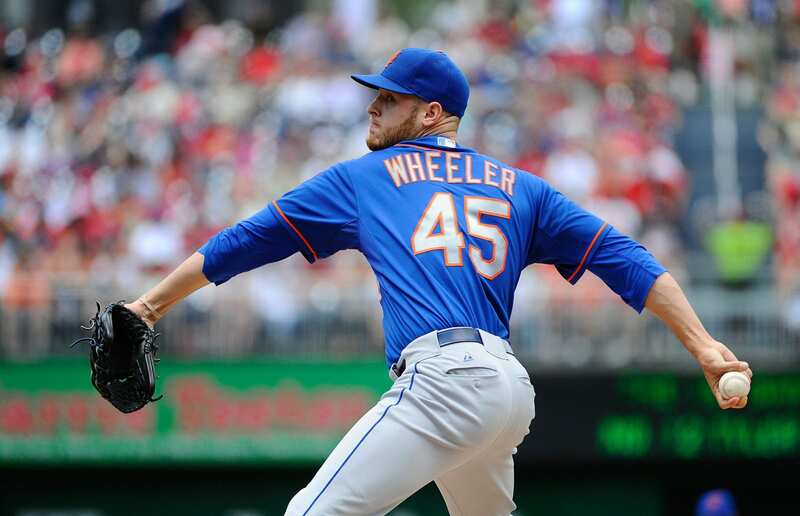 Wheeler does add to the very deep pitching staff the Mets have and when he is healthy he is a very dominant pitcher. In his age-28 season the time is running out for Wheeler and with younger and cheaper options in the Mets organization his time with the Mets could be limited. He rounds out the Mets dream rotation and hopefully he can find consistent success. What Would A QB Like Sam Darnold Bring To The New York Giants?